The Low Anthem took centre stage at Vicar Street on Sunday night and, as usual, did not disappoint anyone in attendance. However it was the support act that had people talking as much as the headliners. 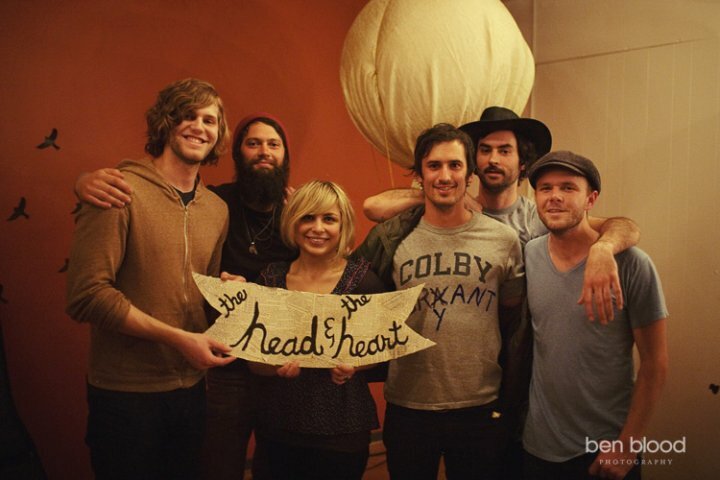 That act were Seattle's The Head And The Heart who just recently signed to legendary Sub Pop Records. The band formed back in 2009 and self-released their eponymous debut the year after. 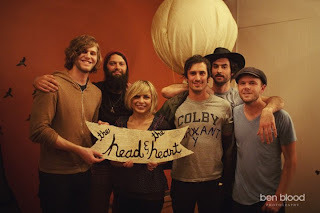 This Friday will see the re-release of The Head And The Heart with a number of re-recorded versions and the album completely remastered. A hectic touring schedule awaits the band this Summer (click here for tour details) including support for the fantastic Iron & Wine. A couple of their tunes are available for free download below so feel free to check them out.